He looks me square in the eye. I can’t help but do the same. There’s not much he says that lacks weight. On Saturday, Matt Tana makes his B-Class MMA debut. On that night he will be engaged in a fight. But for today he is engaged in thought. Born in the small town of Kerikeri, New Zealand, Matt had a humble upbringing and was raised on good manners and good morals. “Oh, I’m good thanks”, comes the startled but appreciative response. Matt isn’t necessarily a forthcoming person though. In fact, he is quite the opposite. A quiet natured individual, he has lived a self-conscious life. Pouring two sachets of sugar into his coffee, Matt surveys the tables around us. This inner peace a result of his time at Fightcross, a result of his time with Mixed Martial Arts. This inner peace the light at the end of a dark, treacherous tunnel. Upon hitting rock bottom, Matt decided enough was enough and vowed to steer his life in a positive direction. Yet the vice of alcohol lingered and it wasn’t until he found an outlet that Matt was confident he wasn’t going back. He tells me this as his ham and cheese croissant is served (a requirement of any Matt Tana Coffee Club outing). Fightcross, and moreover MMA, changed Matt’s approach to life in a number of ways. One being his relationship with conflict. Nowadays when there is an argument within the vicinity of Matt, but doesn’t involve him, as long as it doesn’t get out of control and people aren’t being hurt, his response is: let it go. As rain begins to fall outside, Matt begins to articulate what stepping into the cage means to him. According to Matt, MMA is a testing ground for limitations; a place to push his boundaries and realise his capacity. The ceiling rises in his next fight. He will partake in a B-Class bout which carries less restrictions than C-Class, the only level he has competed at previously. This excites Matt. And whilst the unknown of a B-Class fight also inspires nerves, Matt says they will disappear when the cage door is closed. Just shut the door. A metaphor for Matt’s life. I glance around as Matt gives me an example of ‘shutting the door’. On Saturday, the door will be shut behind Matt and he will be free to express himself. This paradox concludes our conversation. A statement many would struggle to comprehend. Akin to the surprised response of the Coffee Club waitress when Matt takes up our plates and mugs to the kitchen. As we walk out Matt worries that he hasn’t provided me with anything sufficient to write about. 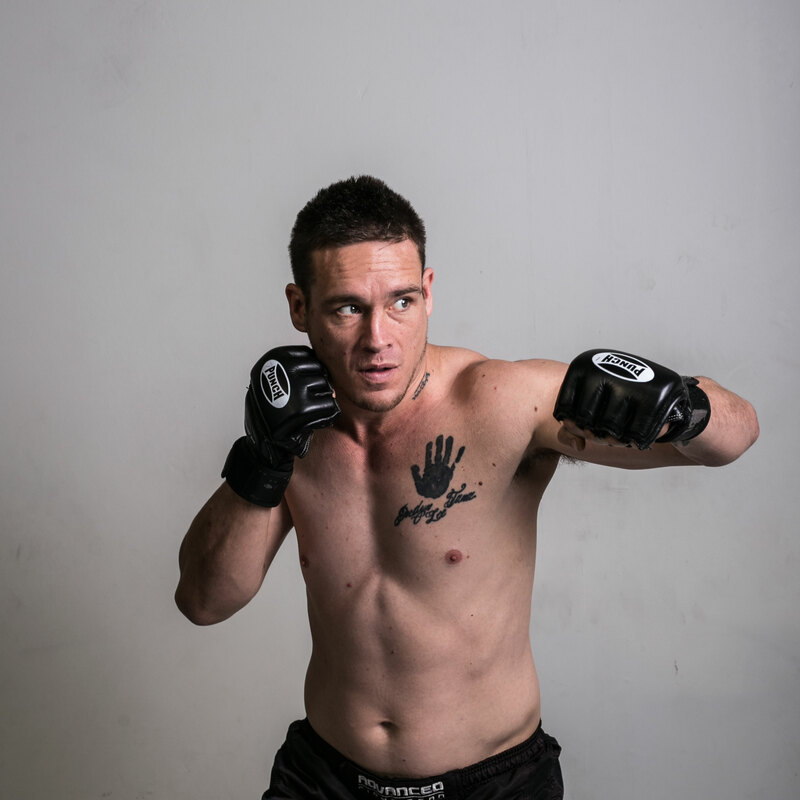 Matt Tana will be fighting Aftershock 26: Girdham vs Moses this Saturday, September 17 at the YMCA Bowen Hills. He will be fighting alongside team mates, Maxwell Armstrong and Craig Lankester.